For many businesses, email has become an essential part of their marketing strategy and in order to be able to reach their audience, companies need to avoid delivery issues that could affect their campaigns. This is possible with the help of a reliable Email validation System like ZeroBounce. This solution is ideal for companies that need to send a high amount of emails. 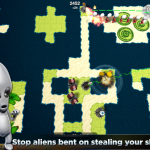 ZeroBounce will help you to reduce the bounce rate of your website, improving its ranking. ZeroBounce is a leading email validation system that is regularly updated to offer the best possible experience for users. We’ll find out more about ZeroBounce and the features that make it the best choice when it comes to email verification. ZeroBounce is designed to improve deliverability and it offers advanced technology to do so. If a website ends up with too many invalid emails that are not removed, the quality of the website and the deliverability rate would suffer. 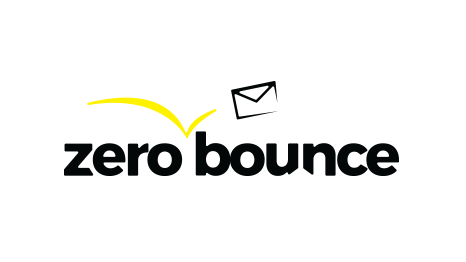 ZeroBounce offers email bounce detection to find these invalid emails and remove them to fix email bouncing issues. The email abuse and spam trap detection function can protect your website from spam, irrelevant and abusive emails. It detects and removes them, freeing up space in your website to improve its performance. In addition, the toxic domain detection can be used to identify any invalid, spam, abusive or bot created emails. If some information goes missing from your website, you can rely on the Email Data Append feature. It allows you to append missing data including location, first and last name, gender and if the registration IP is provided, the data can be appended according to city, state, region or country. ZeroBounce covers top domains and the results are presented in a clear manner through detailed reports. The data is highly accurate and it will be useful fro your marketing campaigns and to analyze demographics. ZeroBounce also has an email verifier system that lets you recognize which email addresses are temporary and which ones are real. You can also identify the email accounts that have been used to conceal the original email address. ZeroBounce comes with an Email Validation API that can be hooked into your website’s software to validate all email automatically. The Catch All Domain Detection is used to identify domains and to verify that their return emails are valid. ZeroBounce provides detailed reports that give you a clear overview of what the data looks like on your website. Your website’s appearance and its performance are visible and easy to manage thanks to these reports. One of the best things about ZeroBounce is that it delivers results fast. In addition, its interface is user-friendly and suitable for experts, as well as beginners. You can also create codes and use them on HTML websites. ZeroBounce is a system that offers high quality and great functionality, but it is also an affordable solution. The price of the service depends on the amount of email validations. First time users get 100 free email validations and after registration, the services are organized in 4 lists. For 100,000 email validations, the price is $150., 250,000, the price is $250, while 500,000 email validations cost $400 and to get 1,000,000 email validations you pay $750. It is also possible to get 5,000 email validations for just $10. The services adjust to different needs and budgets. ZeroBounce is an outstanding Email Verification System that is affordable, fast, feature-rich and efficient. It detects spam, reduces email bouncing issues and thanks to the variety of plans available, it is a suitable choice for small businesses, bloggers and companies who want to get the most out of their email marketing strategy. ZeroBounce is also a secure solution that protects all the data uploaded and downloaded, using encryption/passwords. Once the files are deleted, there won’t be any personal data left on the system. Overall, ZeroBounce is a powerful email verification solution that is worth considering. Thank you for taking the time to write this article. Your honest review means a lot to us, and we’re glad your readers are able to gain more insight about email validation and why it matters. Our website https://www.zerobounce.net offers the best and most secure email verifier. If you ever need any help or have any questions, our customer support team is online 24/7.